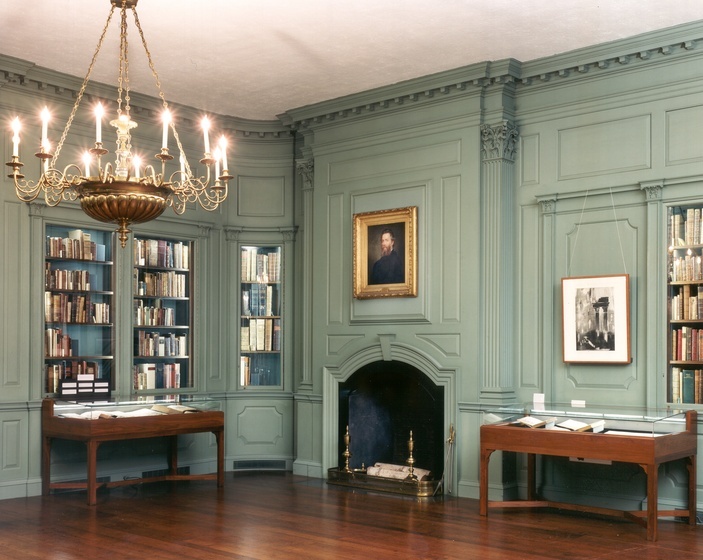 Courtesy of Wikimedia Commons In December 2015, a band of Houghton librarians called Yellow Sub-Basement performed in the Edison and Newman Room in Houghton Library. The band distributed the new lyrics to attendees, hoping the audience would sing along. “I remember seeing Sarah Thomas, who is the president of the library system, singing along with us,” Hardman says, smiling. Hardman got the idea for the performance from the Jewish Women’s Archive, where she worked before Houghton. “They had this tradition of performing some kind of song when people left, and when I left they did a rewrite of Cyndi Lauper’s ‘Time After Time’ for me and it was the most touching, lovely, bizarre thing that had ever happened to me in a work context,” she says. When it came time for Howarth’s goodbye, she suggested they adopt that tradition. Hardman and Cole had always wanted to start a library band. It was a natural project for the Committee for Fun and Good Wille, a lighthearted group they founded at the library to “[cook] up a lot of schemes.” According to Hardman, the extra ‘e’ gave it “a little Houghton flavor.” The only problem was that Cole didn’t play an instrument yet. But Yellow Sub-Basement wouldn’t play again until a year and a half later — this time to send off one of their own. Cole left Houghton to work at Brown University’s John Hay Library in May, 2017. At her goodbye party, Yellow Sub-Basement reunited to surprise Cole with a cover of “Lucy In The Sky With Diamonds.” Again, Hardman replaced the lyrics with ones about her departing friend. Because they were missing an integral member of the band, Cole, some of the other band members banged against instrument cases to recreate the sound of drums. Since that last performance, Hardman has also left Houghton; she’s now two T stops away, running the special collections at MIT’s library. With a third of its original members no longer at Houghton, Yellow Sub-Basement hasn’t performed since Cole’s goodbye party. At MIT, Hardman has discovered that Houghton isn’t the only library with a band. “MIT already has a band. It’s Dewey & the Decimals. And, legit, I have heard someone who was involved with the Velvet Underground is in it,” Hardman explains. Brown’s library, on the other hand, doesn’t have a band — at least not yet. “Maybe someday,” Cole says wistfully.